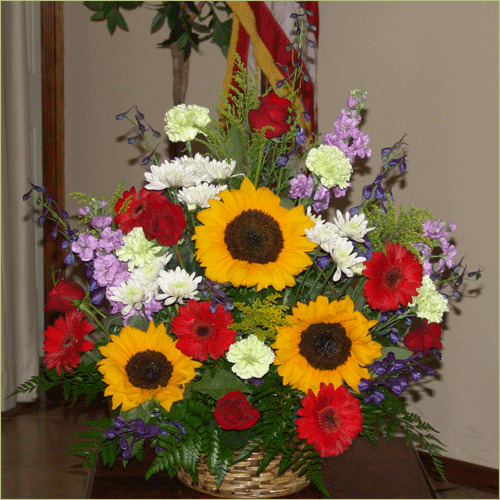 A cheerful yet dignified way of expressing condolences and cheering up the recipients. Deluxe Basket includes 14 stems. Premium Basket includes 17 stems.